The first trailer for Annie, a modern retelling of the hit Broadway musical of the same name that was based on the 1920s comic strip Little Orphan Annie and was adapted into a movie in 1982 and made-for-TV movie in 1999, was released recently. The movie stars Beasts of the Southern Wild Oscar-nominee Quvenzhané Wallis and Ray Oscar-winner and The Amazing Spider-Man 2 star Jamie Foxx, and is produced by Will Smith and Jay-Z. You can watch the new Annie trailer. 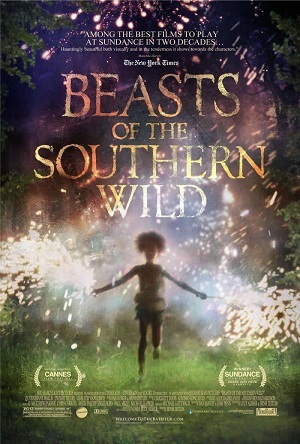 Directed by Benh Zeitlin, Beasts of the Southern Wild tells the story of Hushpuppy (Quvenzhané Wallis), a fearless six-year-old girl who lives with her father (Dwight Henry) in “the Bathtub,” a southern Delta community at the edge of the world. Hushpuppy’s father comes down with an unknown illness and Hushpuppy’s universe begins to unravel – literally. Suddenly and without reason, temperatures rise and the planet’s ice caps melt, unleashing a horde of prehistoric beasts known as Aurochs. As the world seemingly comes to an end, Hushpuppy embarks on a dangerous adventure to a land of concrete and steel – a land beyond the levees – to search for answers.